Photographer Grabs Freaky Pictures Of Ghost Floating Overhead, We Investigate! For those excited about the opportunity of being visited by demonic wraiths…well…you’re crazy, but you may also get your wish. 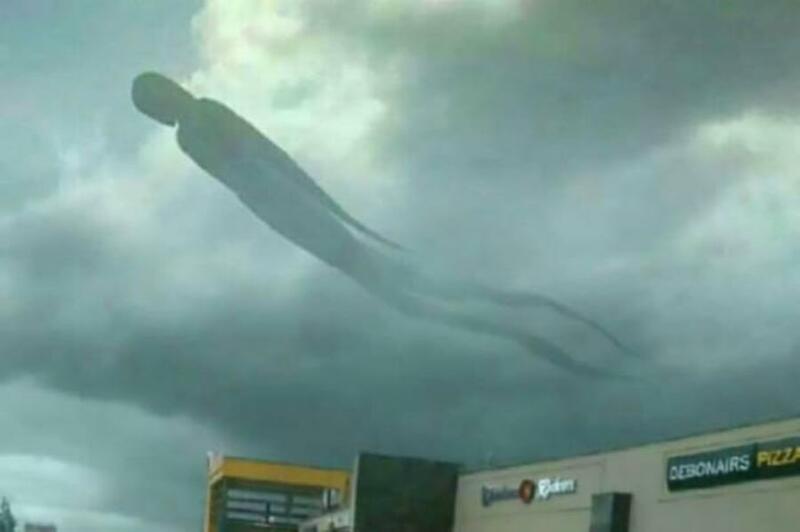 It seems that Zambia may have witnessed the beginning of the invasion when a scout wraith was seen in their skies just last month! Exciting or terrifying? I’m not exactly sure how to react! Once you see slide 9, you will be certain that this event could possibly change human history as you know it. However, slide 7 will reveal something huge you may not be expecting. Read on about our possible visitors in the sky. 10. What In The Devil Is That!? Perhaps there really is something to the rumors! This picture is utterly terrifying! 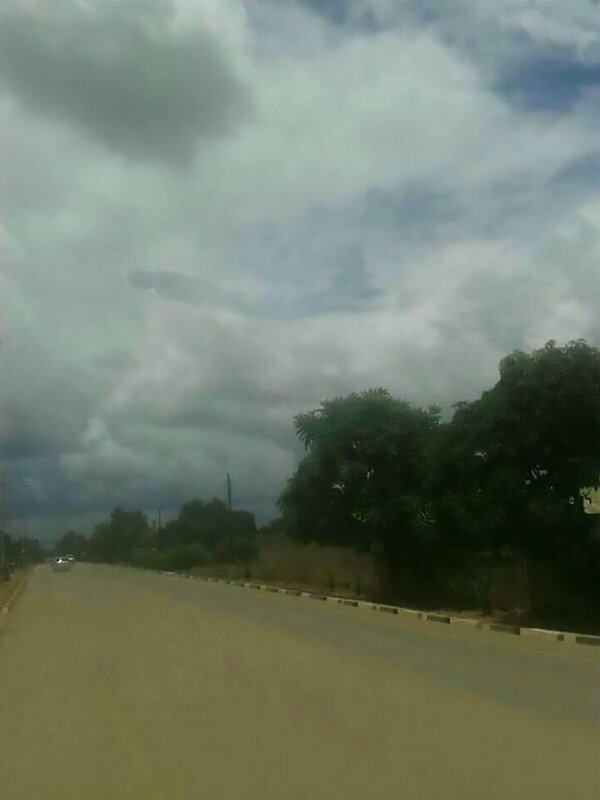 Could there have really been a wraith-like figure over the skies of Zambia?! I’d immediately run and hide if that was in the clouds while I was driving. I’ve seen the original Independence Day far too many times. Well… I wasn’t that hungry anyway… I didn’t need to shop… I can save a lot more money by never going to the mall again. 8. Harry? Is That You? Ah, so that’s where I’ve seen something similar. Several tabloid sites began likening the ghastly apparitions to the “Dementors” from Harry Potter lore. Yeah, it seems like there’s something up here. I’m starting to become just a little bit suspicious. Together we have to get to the bottom of this. Evidently, the kite is called “Spirit Man.” They are the closest resembling kites on the internet that match those placed into the Zambia photographs. How disappointed are you right now? 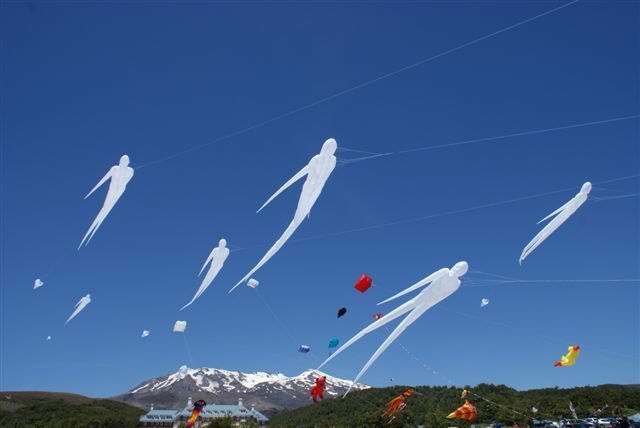 Not only is this story fake, you don’t have one of these cool (and extremely creepy) kites. What can you believe on the internet? Perhaps these other creepy cloud figures are real!